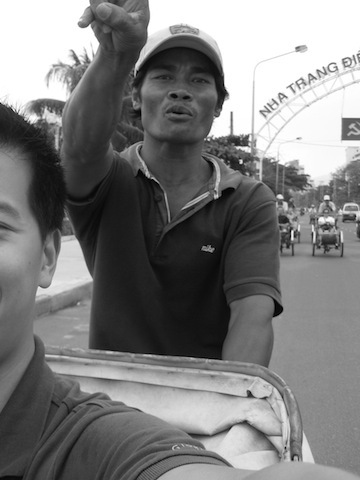 In Vietnam, it’s popular for tourists to climb on the front of a tricycle taxi, or cyclo, to get a little tour of the city like we did in Nha Trang. Locals also use these Vietnamese rickshaws (aka cycle rickshaws, pedicabs, or trishaws) to speed through the city’s chaotic traffic. In some cases, they are actually faster than cars – and a lot more eco-friendly. Not to be confused with motorized cabs like tuk-tuks in Thailand, cyclos are all human-powered and cost only at few dollars per half hour ride. Similar to Kabuki Kabs found in our native Victoria, BC, except passengers sit in front of the driver, while he skillfully peddles on wooden blocks, expertly weaving through speeding traffic. 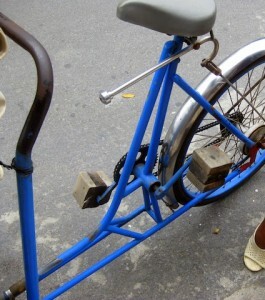 A cyclo ride in Nha Trang is another must-do experience during your visit to Vietnam!